Naomi Sarna Designs is honored to have one of the latest Neckalces, the Pearl Diamond Labradorite Gold Necklace, featured on the cover page of INSTORE Magazine in partnership with the AGTA. 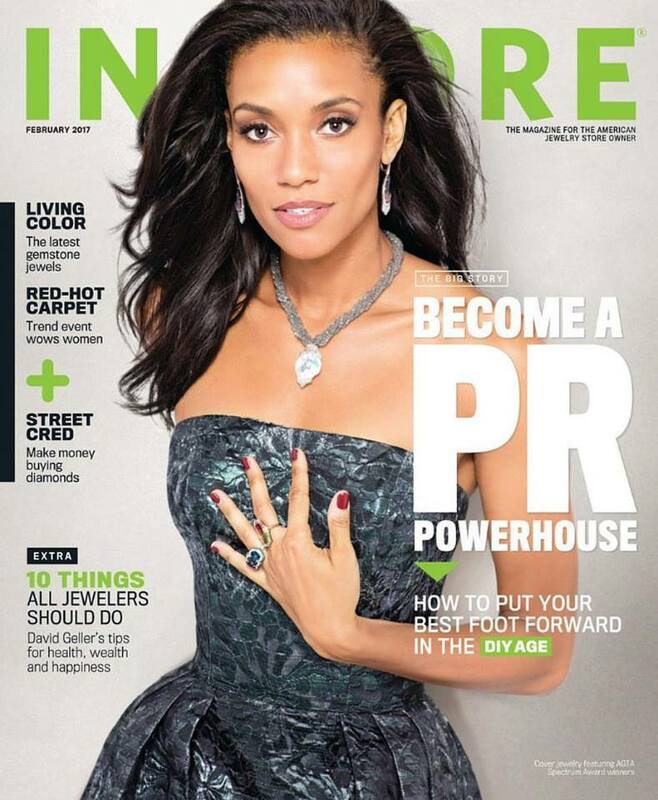 Worn on the lovely and talented Annie Ilonzeh the necklace appears that much more stunning. This pendant features an Iridescent white Chinese freshwater pearl set in 18K white gold complimented by scintillating multicolored diamonds and a sprinkle of multicolored sapphires. It hangs on strands of beautiful labradorite beads closed with Naomi’s signature clasp. The clasp is 18K white gold set with multicolored diamonds. Naomi is fond of Astronomy and star-gazing. 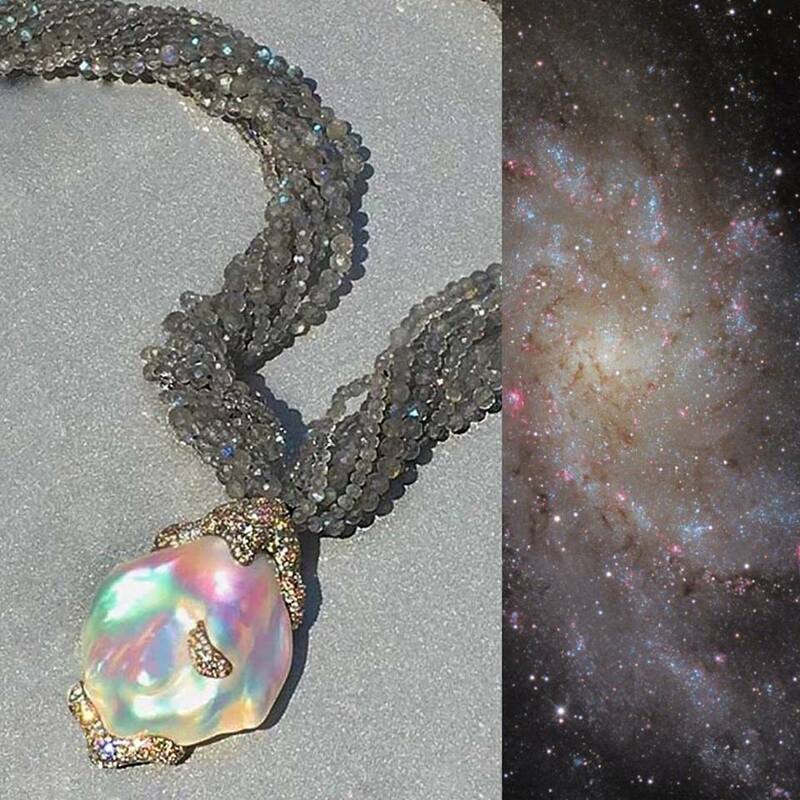 She also frequents NASA’s Astronomy Picture of the Day (APOD), of which Naomi Sarna Designs is an official corporate sponsor, where she frequently gain inspiration from the Universe and Creation as she meditates on the form, body, and shape of the pieces she designs. This acclaimed piece is available for a limited time at 1Dibs.com.